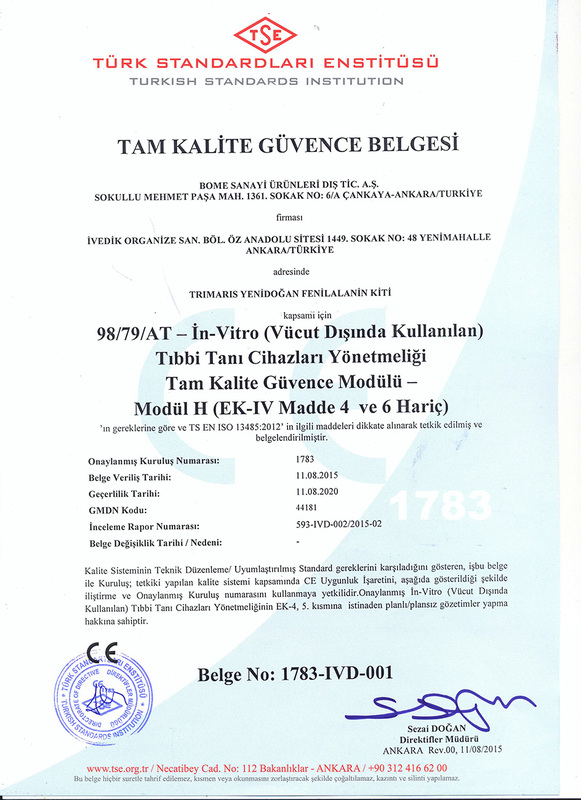 Since the beginning of its production activities; BOME, pioneer in Quality Assurance investments, has, in 2015 , been awarded with the first Quality Assurance Certificate issued by Turkish Standards Institution (TSE) within the scope of “In Vitro Medical Diagnostic Devices Regulation” in addition to its already existing ISO 13485. In this context, annual surveillance audit was conducted at the beginning of August for 2 days. The audit was completed successfully and the continuity of the system was registered.